I always spend a few days in Bangkok before I exit Thailand ensuring I give the credit card a good work out before I head home. I like making the most of different brands and stores on hand that aren’t available in New Zealand. It was absolutely torturous roaming through the streets of Bangkok, knowing that no power shopping would be occurring on this trip with months of travel ahead of me. I did manage to make one small purchase which I knew I could get away with, the Labradorite bracelet from Mina Code. I could justify the purchase as it was small to pack and it hasn’t left my wrist since. It accompanies my Marc by Marc Jacobs Standard Supply bracelet which was a leaving gift from the Viva team. Head straight to Siam Square where you can visit easily three malls, Siam Center, Siam Discovery and Siam Paragon which cater for a variety of tastes and budgets. Siam Center is a great place to find emerging new designers. It’s where I purchased my Mina Code bracelet at Another Alternative on the first floor and enjoyed a great coffee at I+D Style Cafe. There are also plenty of beauty options with Sephora, Bobbi Brown and Estee Lauder. 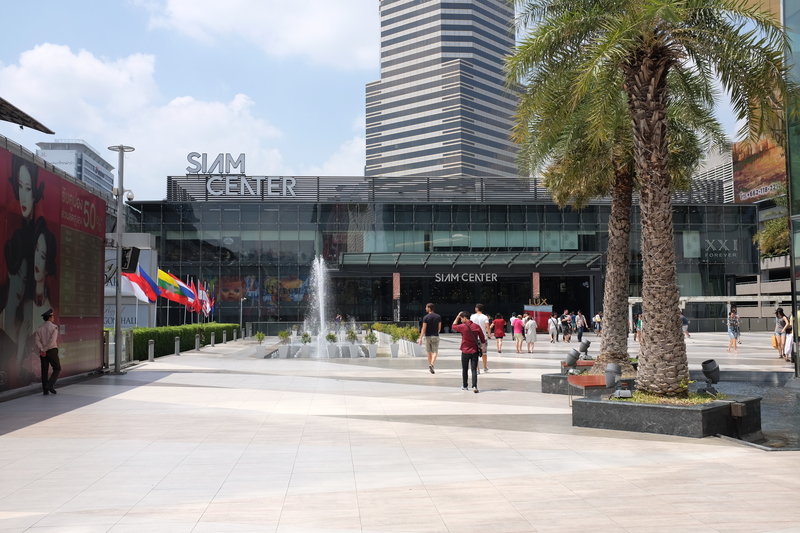 At Siam Discovery there’s a mixture of stores from clothing to technology, homewares and beauty. My pick here is Thann a Thai natural skincare and aromatherapy brand. If only I could have taken some products with me. Strip Ministry Of Wax on the 3rd floor was recommended and it didn’t disappoint. There’s always a risk travelling when it comes to beauty therapy and the therapist you may get, but it was just like being at home, thankfully. They also have a brow bar on site. On the second floor I stumbled across a great store called Smart Travel who stock Cocoon travel products. Perfect if you need any travel essentials. 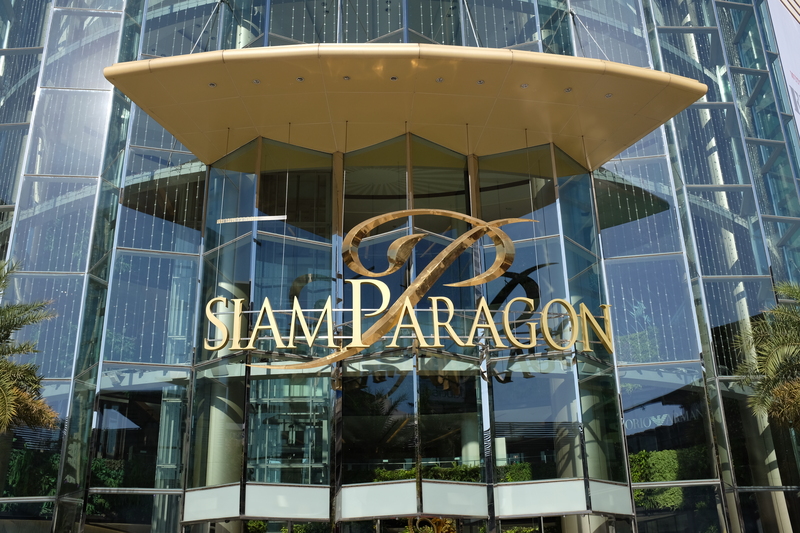 If you’re after a luxury fix, then head to Siam Paragon. You’ll find most of the high end luxury brands here such as Louis Vuitton, Prada, Hermes and Dior. They also have some high street stores such as H&M, GAP and Zara. But be aware if you are interested in purchasing luxury goods in Thailand, think again. The government charges 30% tax on luxury goods making it an expensive place to purchase luxury items. You might be able to find them cheaper elsewhere even with the 7% VAT they offer. After all that shopping you’re bound to be ravenous. I’m not normally one for eating in shopping malls, but if you’re pushed for time there are plenty of options in Siam Paragon and I had a fantastic Japanese meal at Nippon Kai. If you’ve never been to Bangkok, as touristy as it is, a visit to The Jim Thompson House should be on the cards. Famous for starting the Thai Silk Company it’s well worth a look around his home which is now a museum. Most tuk tuk drivers will take you there in a flash. If you have any time left and you need to do a desperate shop for some cheap souvenirs or to buy that t-shirt you were eyeing up in the market which will shrink after one wash then head to MBK. It’s not my cup of tea but it’s liked by many. I much prefer wandering through the side streets to the left of the mall where you can find some emerging designers and boutiques. There are plenty of more shops to visit if you have the time, the Emporium would be my next stop which stocks more luxury brands and if you need a last-minute shopping fix, there are a variety of boutiques at the airport for that one last hit. Happy shopping!